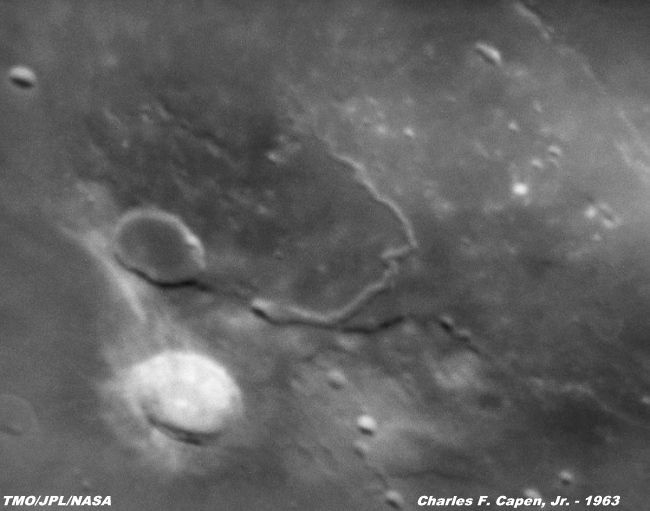 extremely good, and the detail shown on the original negative recorded craters as small as 1 mile in diameter. figures are quoted, the valley seems to be in excess of 100 miles in length. South is to the left, east to the top.